Colombia is known for being the SECOND most ecologically diverse country in the world. That means it’s a beautiful country. It is home to mountains, rainforests, forests, rivers, desserts, tundras, and more. That’s exceptional for a country with 440,800 mi². So what does SCORE do in Colombia? 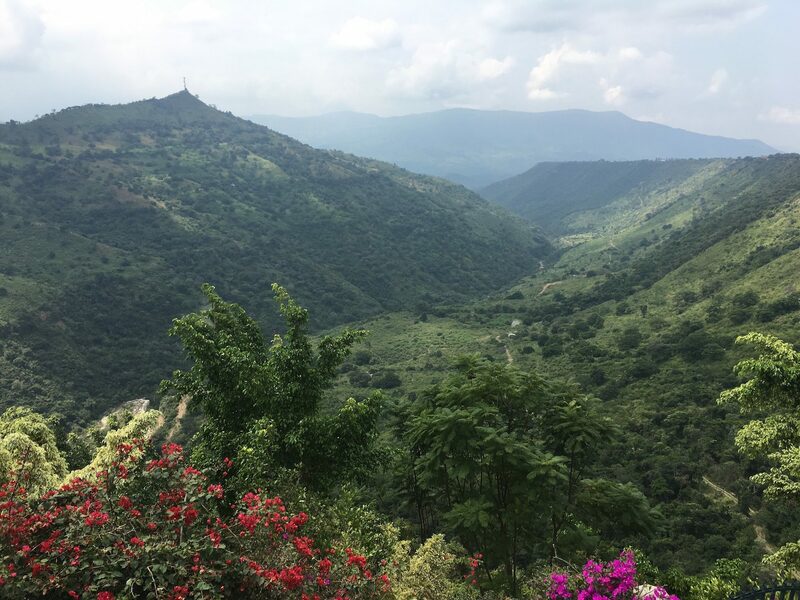 We currently have one family of missionaries right outside the city of Fusagasuga, or Fusa, who assist in running a 178-acre camp ministry, which is partnered with the Rawlings Foundation. There they have the opportunity to facilitate camp for approximately 2000 kids per year. In addition to camp, our missionaries are also able to invite various groups to the camp to educate them on social issues, theology, and use sports as a tool in sharing the Gospel. Each country we travel with offers general ministry opportunities while also offering more country specific ones. Abyzhadwl (Aby) Prado was born in Costa Rica in 1966. He went to Argentina in 1987 to study the Word of God at Word of Life Bible Institute, where also he received Christ. He married Gladys Justo in 1990 and went back to Costa Rica where he served for 11 years with Word of Life Ministries. During that time, God started to show the Prado family the need of planting churches in places where no one else was working. Since 2001, the Prados have been planting local churches and discipling believers through classes at the Bible Institute, radio programs, materials, conferences, camps, etc. Gladys Justo was born in Argentina. When she was 8 she received Christ as Saviour. She grew up in a Christian home, and went to WOLBI in Argentina to study in 1988. While at the bible Institute, she met Aby. They got married and she went with him to serve the Lord in Costa Rica. God has blessed them with two children, Joel who is 18 years old, and Sophya who is 16. They have being serving God as full time missionaries for the last 17 years now, always partnering with SCORE.